Go to Carters Careers page - carters.com/careers, and click "Apply Now" to start your online job application journey. 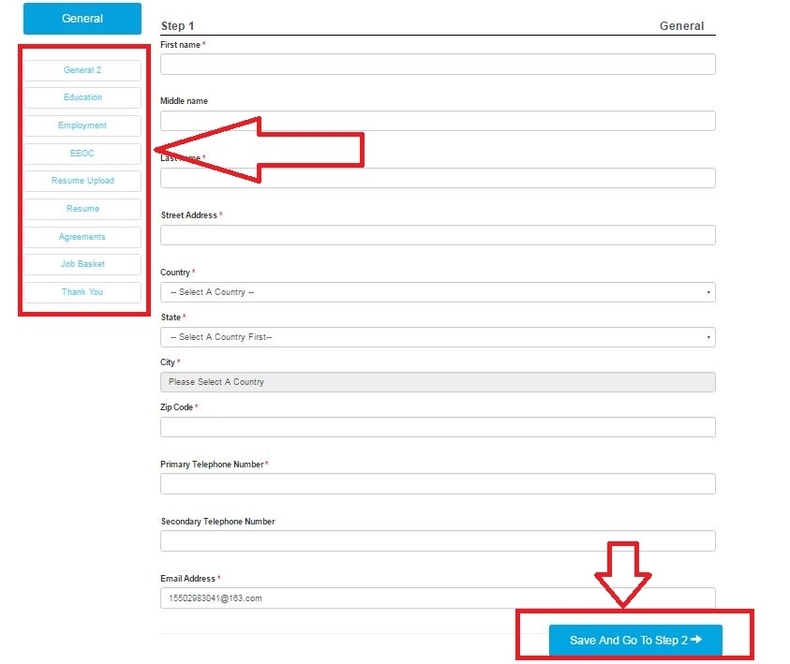 Select job title in the drop-down list or enter keywords to find jobs. There are other ways to search, too. Let's take "Search for US corporate careers" as an example. 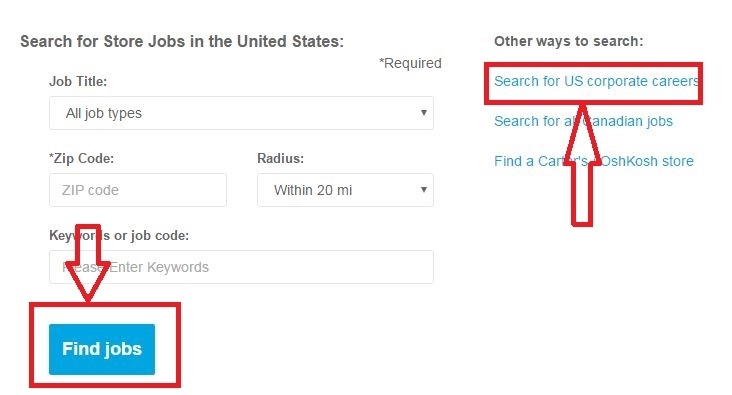 You may search either by selecting a state or entering job keywords or job code. Submit and see what we're going to get if entering "manager". You may see that there are various search results. Please choose one you would like to apply for and click "Apply Now". There will be an introduction and description for the job you select in the last step. Read carefully about the job's experience and skills and make sure that this is what you want and click "submit your resume". For job application at Carter's, you are required to log in. If you don't have an account, please register on the right first. Please complete the general information, education and employment information, upload resume, and accept agreements to finish the whole process. After completing all of them, you may wait for your interview notification. After you've provided all the information mentioned above, you may now click "Complete Application" to finish your Carter's online application. 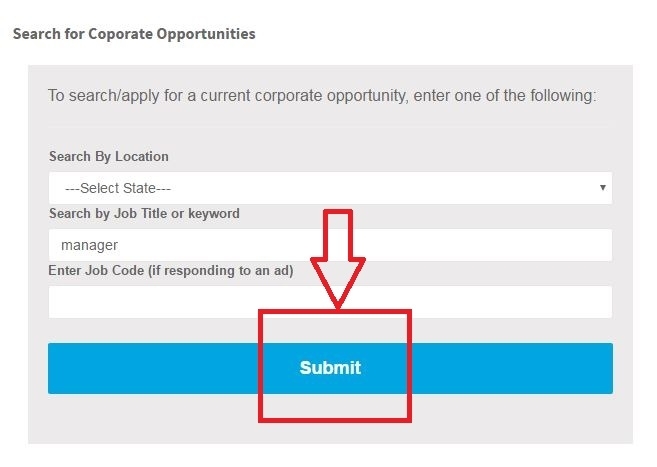 Be sure to fill out all parts for some companies may filter candidates by certain responses. You will get contacted once you're proved to be equal to the job. 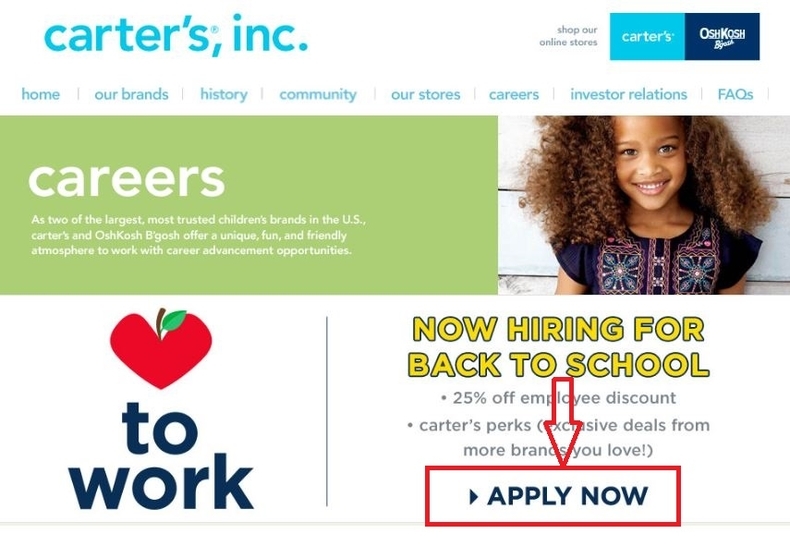 Click carters.com/careers to apply for Carter's jobs online.